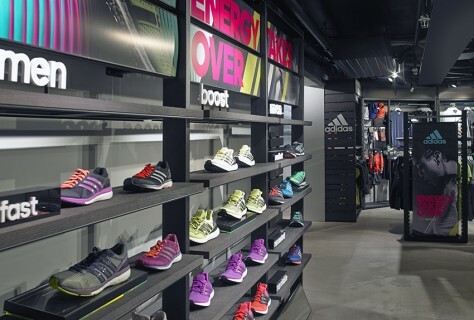 Following success of our work in Hamburg at the Stadium store we were invited to look at designing branded concession areas in NK and Loplabbet stores in central Stockholm. Working directly with the Nordics team we offered a full turnkey service from design to installation. The 2 installations had slightly different objectives. NK is a high end retailer, think Harrods to London is what NK is to Stockholm. We focused on women’s lifestyle fashion in this area and highlighted running and training products with the main product focus on Boost. 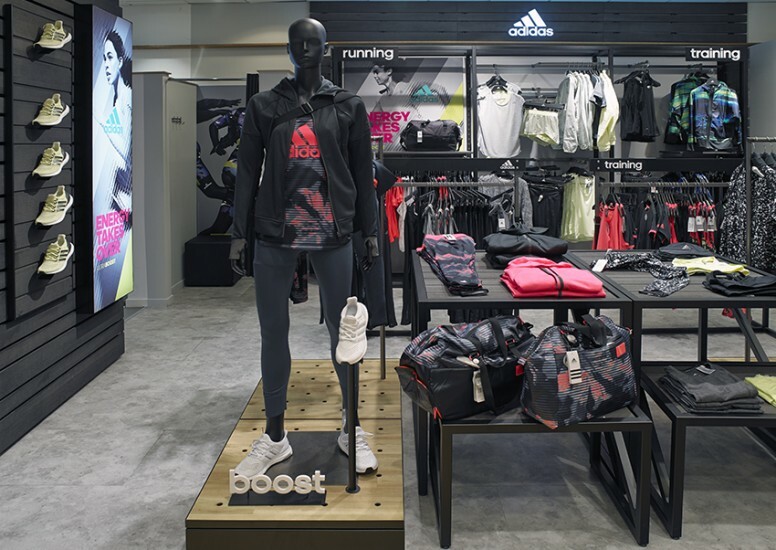 We interspersed some generic Adidas fixtures with more bespoke Stella McCartney apparel fixture to give call out to this popular collaboration. 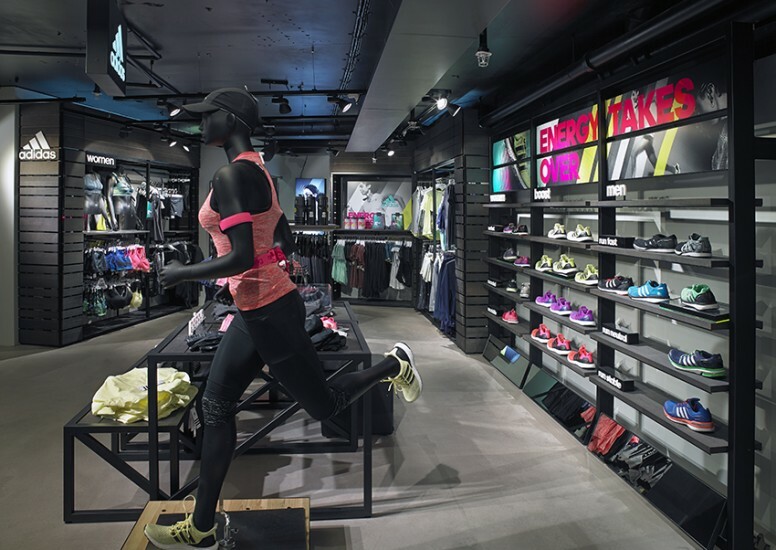 The Loplabbet store still retained the same fixtures but the focus was more a run destination zone given that the store is a running specialist so attracts a different consumer. 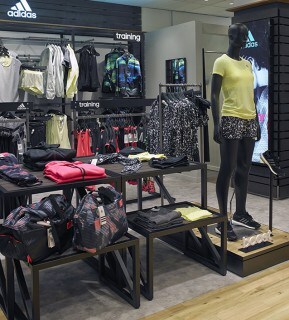 Men’s and women’s featured in this area and there was great prominence through the store with this install. 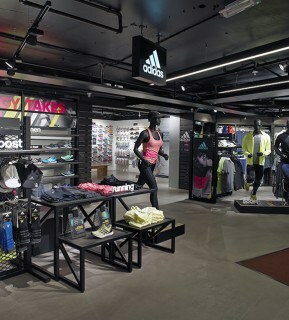 Treadmills are used within the area to allow product testing and gait analysis. These have been great projects to work on and is adding to the extensive portfolio of work we have in the Sports sector.